Spring brings us wonderful things like colorful flowers and chirping birds, but it also brings forth droves of icky, pesky mosquitoes! This year was an unusually wet Winter, which means we’ll be dealing with an influx of mosquitoes that seem to multiply by the second. These ankle biters fly around our yards and front doors looking for food and shelter. Fortunately, there’s a natural way to repel them, and that’s through planting mosquito-repellent plants! Luckily for us, these mosquito-repelling plants are not only useful for avoiding those itchy bug bites, but they’re also good for adorning garden beds and containers. If your goal is to keep the mosquitoes away while you entertain guests, enjoy your garden, and relax in your yard, then read on to learn about these top mosquito-repellent plants! 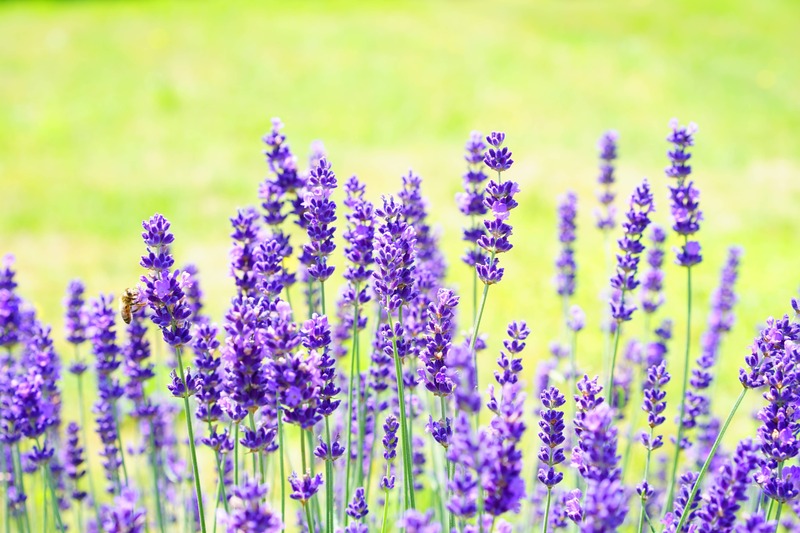 Lavender is probably the most popular mosquito-repelling plant. Mosquitoes HATE the scent of lavender, so they steer clear of this plant whenever possible. This is great news considering how beautiful and fragrant this plant is. Its interesting foliage and tall flower stalks are perfect for both containers and garden beds. I recommend purchasing a few pots of lavender plants from your local garden nursery (or an online merchant like Amazon) that is already growing and flowering (or close to flowering). Starting from seed or a very small plant would simply take too long to reap the bug-repelling benefits you need now. I suggest placing a lavender plant on your outdoor table, patio set, or near chairs. You can also use lavender as a garden border or plant it with other drought-tolerant plants. Keep in mind that lavender needs full sun and well-drained soil to thrive. Here’s another beautiful and colorful plant that does a great job of repelling mosquitoes and common garden pests. Marigolds are famous for their insect-repelling capabilities, which is why gardeners and farmers plant them with their crops. It makes the perfect companion plant to keep garden pests away, and you can use it to add a pop of color to your garden, too. Marigolds grow well in containers and in the ground, but they’ll need plenty of sun and well-draining soil to thrive. They need more moisture than lavender, so make sure to check the dryness of the soil every few days. Basil is one of the most beloved culinary herbs because of its flavor and scent, but bugs and mosquitoes actually hate this fragrant herb. That’s great news for those of us who love to grow containers full of basil in the Spring and Summer! I recommend buying a mature plant from your local grocery store or garden center since this will give you the best chance at using it to repel mosquitoes. Plus, you’ll be able to harvest the leaves to use in your cooking. 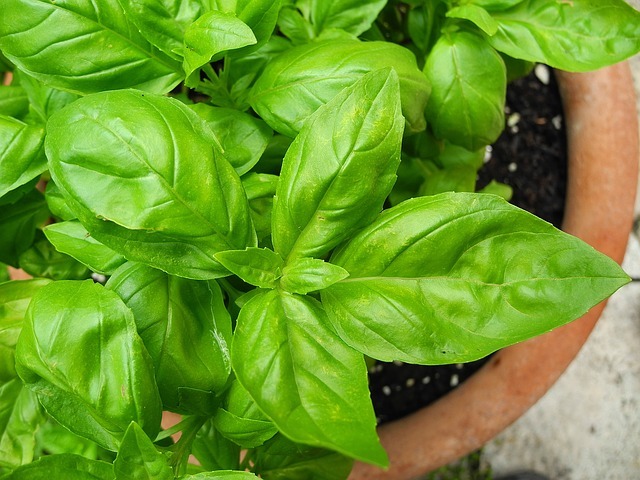 Keep your basil plants in spots where mosquitoes usually gather, such as near the ground in grassy areas, close to outdoor light fixtures and front doors, and near patio sets and tables. Basil needs around six hours of sunlight a day and does not do well in dry soil. Keep basil close to your marigold plants to keep other garden pests away from it. If you’re going to grow basil plants in your yard, why not grow some rosemary out there, too? You’ll get double the mosquito-repelling power in your herb garden, and double the flavor, too! 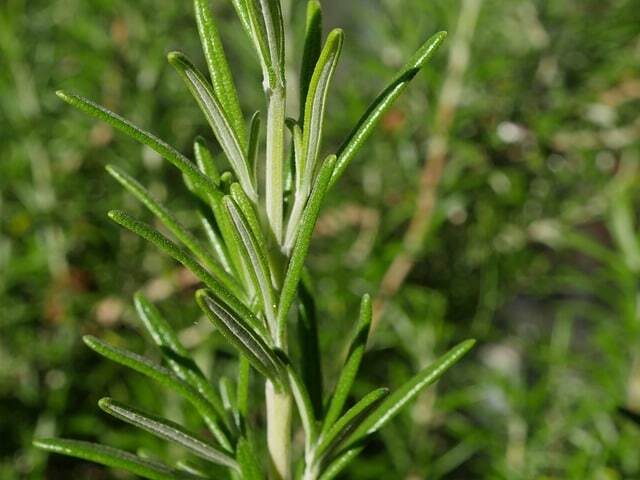 Rosemary is delicious in many dishes, but insects keep away from its fragrance. 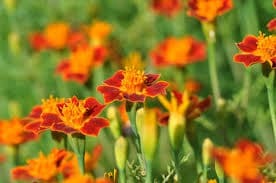 Plant this herb close to your marigolds to protect it from other bugs. You can use rosemary as a ground cover or you can also grow it in a container. Purchase mature rosemary plants from your local garden center to get the full effect. Rosemary needs full sun and moist but well-drained soil. Let the soil dry out, however, between waterings. 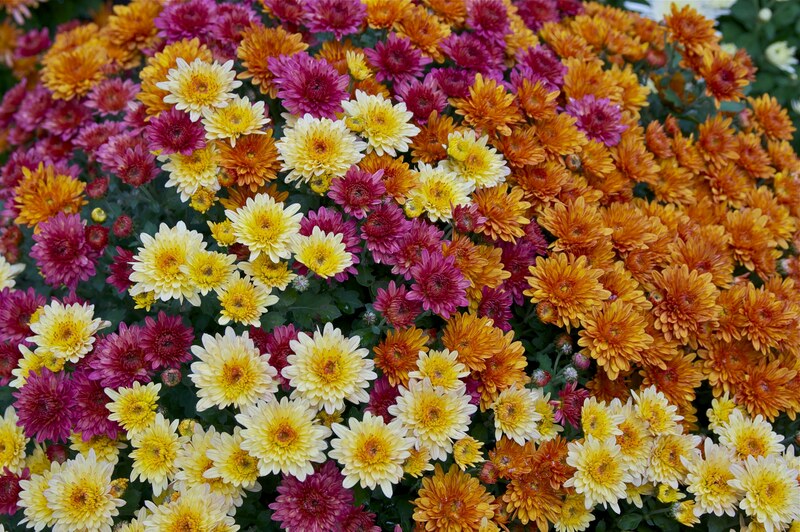 If you’re looking for an insect-repelling plant that is also beautiful and colorful, try planting a few chrysanthemums. This lovely flower contains a particle called pyrethrins, which is an ingredient used in many commercial bug sprays. Chrysanthemums will keep all kinds of icky insects away, in addition to those pesky mosquitoes. Chrysanthemums are a long-blooming plant, so they’re the flower for Spring and Summer gardens. To learn more about flowers that bloom during Summer and Fall, head to my post to read about 16 Annuals that Bloom ALL Summer Long. Alliums, a member of the onion family, don’t just fill in sparse areas of yard with their height and large purple flower blooms, they also work hard against insects. When other Spring-blooming flowers finish blooming, Alliums can be used to fill in the gap before your other flowers start to bloom. Purchase potted alliums during early Spring for best results. You can also plant allium bulbs in the Fall, or in early Spring in warmer zones. For more information on how to plant and care for this bulb, head to my post about How to Grow Alliums. Here’s another beautiful flower that I’d plant in my yard even if it didn’t repel mosquitoes and insects. 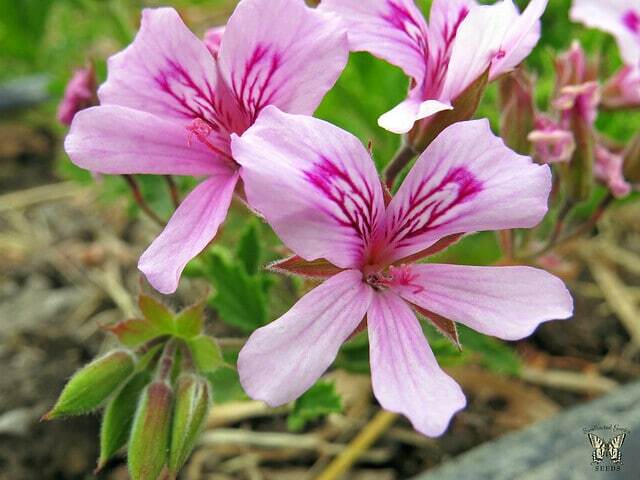 Scented geraniums give off a lemony scent, a fragrance that bugs hate! Plant them in full sun and make sure they receive adequate moisture during the Summer months. You can purchase potted geraniums at a garden center or on Amazon. For best results, let the soil dry out between waterings. Geraniums make beautiful container plants, so place them near doors and porches, window boxes, and patios. If you’re serious about repelling mosquitoes in your yard, then don’t forgo the catnip! Catnip, a type of catmint plant, has been proven to be a better bug repellent than DEET, an ingredient commonly used in commercial bug repellents. Catnip contains nepetalactone, which is an essential oil – it’s what repels those awful mosquitoes. It blooms from Summer to Fall and features pretty purple flower stalks. Catnip needs full sun and sandy soil with good drainage and will grow between 3 to 4 feet tall. This plant enjoys moist soil so water regularly, but be mindful not to over-water, however. Citronella Grass is famous for its mosquito-repelling properties. Thankfully, this plant can be used as a border plant or hedge. Citronella grass gives off a strong, lemony scent, which is perfect for keeping bugs away, and it’s a natural alternative to citronella candles, which contain chemicals. Plant this grass in your backyard in areas where you and your family gather, such as near a sitting area, patio, or picnic table. Another excellent culinary herb on this list, mint can be used as an insect repellent. Mosquitoes are turned off by the scent, so they’ll stay away from areas that contain this fragrant herb. Mint can be an aggressive grower though, so I recommend growing it in a large container so you can inhibit its growth to one spot. Plant your mint containers near your basil, rosemary, and marigolds for a powerful yet natural deterrent against pests. 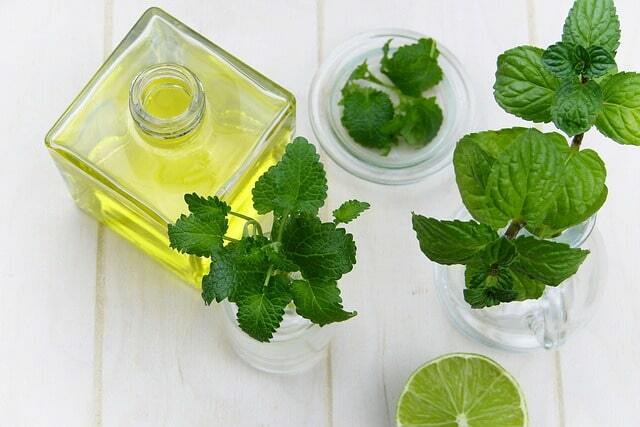 Lemon balm is part of the mint family, and it gives off a lemony fragrance, perfect for keeping mosquitoes at bay. Like other varieties of mint, however, lemon balm can be an invasive grower, so plant it in a pot so it doesn’t overtake your garden. Lemon balm enjoys full sun and moist soil that’s well-draining. There you have it, 11 mosquito-repellent plants that will help keep you safe from bug bites! Try planting at least of few of these plants in your yard for the best results. I know I’ll be planting almost all of them this year since I’m particularly creeped out by these long-legged, aggressive flying pests!